Description: 1772nd-ZOMBIE-UNFOLD THE UNKNOWN- is an interesting point and click type game developed by the ENA Game Studio. After escaping from the doctor you are now going to your house to collect the blood samples, but your place is completely messed up and samples are gone. Doctor could have raided your house and took the samples, go to the doctor house to resolve the mystery and catch him red handed . 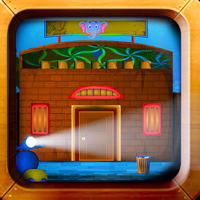 Collect all necessary objects, solve clues and interesting puzzles. Get ready to face the walking dead, keep playing ENA Games.